Who was Mrs. Silence Dogood? 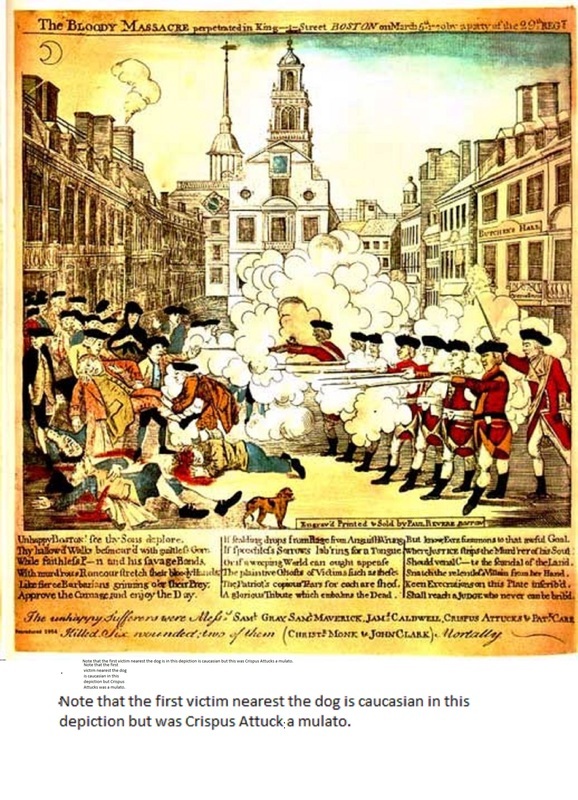 Henry Pelham, an ardent Tory and professional artist portrayed The Boston Massacre. Compare his version to Paul Revere's and walk with us to determine which is the propagandist. Paul Revere's version of the Massacre published first but there is more to the story. Tours form at the Long Wharf on the waterfront by the American Flag just up from the Marriott Long Wharf Hotel, and typically end at the Granary Burial Ground, just east of the Boston Common. Use our Schedule Now or contact us with your dates and times needed. 296 State Street, Boston under the American flag. 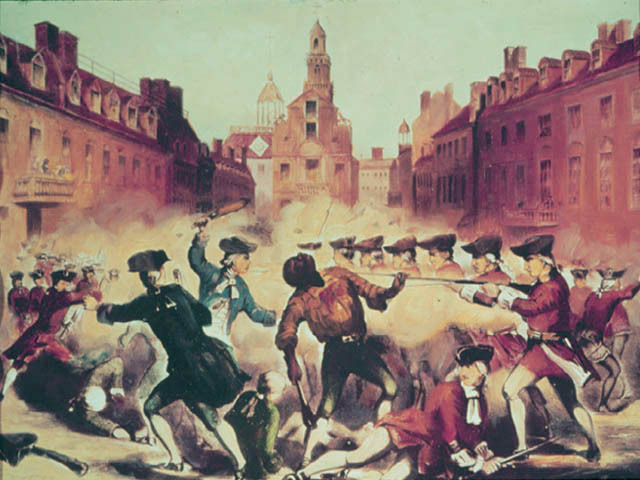 Tour fees: the Boston Massacre Tour provides for groups of 12-15 people. The fee is $12 for each adult, $10 for seniors, children under 12 and any current military in uniform are free (no redcoats or lobster-backs please). Email us to schedule a private tour. Then click on your payment options above and add to your Cart. PayPal services all major credit cards. 9/16/2018, comments on Paul Revere group tour. ruth, It was a terrific tour. You clearly have done a lot of research. Thanks for the additional information. EM, Mitch, thank you for the additional information. It was a wonderful few hours and I will assume you Get credit for the glorious weather. Thank you so much, Mitch and Nancy! The "rest of the story" info you sent is the icing on the cake. Your tour was perfect-great information presented in an entertaining, casual way. The wonderful weather helped, of course. Thanks again for offering your tour. Hope to do it again. 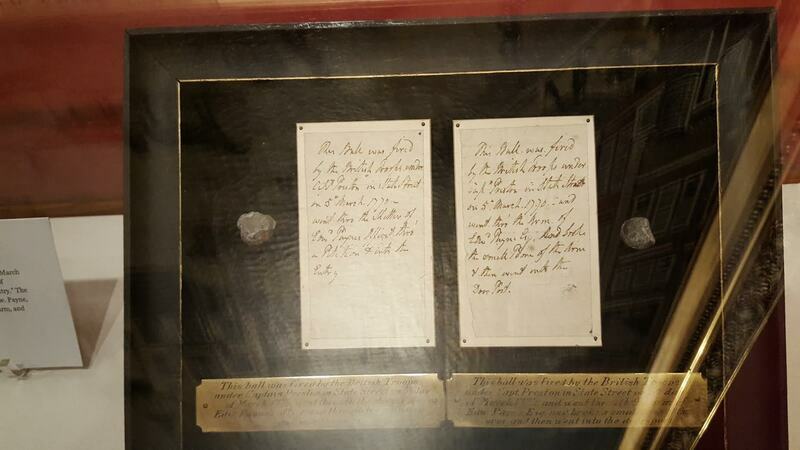 The tour of the freedom trail with the emphasis on Paul Revere was very informative. We started at the state house and learned about its architecture. We continued through Boston Commons and past the burial grounds. We then continued to the north end and Paul Revere’s house. At each stop Mitch had many interesting and little known facts to tell us. We were surprised by the number of occupations Paul Revere had. During our walk through the north end Mitch pointed out various restaurants to eat in. The tour was about 2 miles of walking and lasted about 1 hour 45 minutes and was most enjoyable. We would definitely take another tour with Mitch in the future. I just wanted to tell you and Mitch how very much I enjoyed today. Mitch is passion for history comes through loud and clear in his delivery. I learned new facts about Paul Revere that I had never known before. Mitch was so well-prepared including all of the pictures and it was obvious that heput a lot of time and effort into this tour and the presentation. He did a great job! 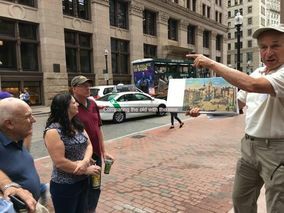 Thanks for asking us to go on your tour, Mitch, of Boston’s historic sites. Your enthusiasm and love of history is contagious. You made history come alive. Sorry I had to leave early. I bet the tour of the North End was equally exciting! You put your all into it. 6/15/2017 gxxxxen@snhu.edu Comment 6/1/2017, Your remarks about John Hancock really painted a historical image of the man. I was there that day with members of Jerusalem lodge #104 Keene NH, I am so glad I had the chance to attend this event and pay my respects. 6/3/2017 GS, SNHU,edu, Mitch your remarks about John Hancock really painted an historical image of the man. 10/15/2016 Thank you so much for the Boston Massacre Tour. I never knew it was such a complicated affair. I particularly liked the incidental historical stops about Colonial Boston. I hadn't been downtown for years. You opened up so much for me. June, Natick Ma. An association of tour guidES for educators, amateur historians, and the general public looking to walk beyond the Freedom Trail, concentrating on the legal, philosophical, emotional and political events of Boston.